Sin City's most popular food truck competition, Back of House Brawl, will make its debut at The Park Vegas when it hosts its latest culinary battle on March 23. Participating chefs are tasked, within a 30-minute time period, to create two unique dishes as part of a paired team for special judges chef Michael Symon, reigning Back of House Brawl champion and The Cosmopolitan of Las Vegas chef de cuisine John Courtney, and Vegas magazine's editor in chief Emmy Kasten. The winning team of each chef battle will go on to compete in the competition's final round on November 16. Vying for a seat in the finals at The Park Vegas are Josh Smith (Bardot Brasserie at ARIA) and Justin Kingsley Hall (formerly of Kitchen at Atomic) who will faceoff against Emily Brubaker (Michael's Gourmet Pantry) and Jennifer Murphy (Gordon Ramsey Hell's Kitchen). For attendees, drinks and food will be available for purchase at one of the many food truck vendors nearby: Truk-N-Yaki, Boqueria Street, Stripchezze, and Cousins Maine Lobster. When the clock strikes midnight, attendees can get a front row seat to a cocktail battle between resident mixologists, before catching the 1 a.m. Back of House Brawl main event. 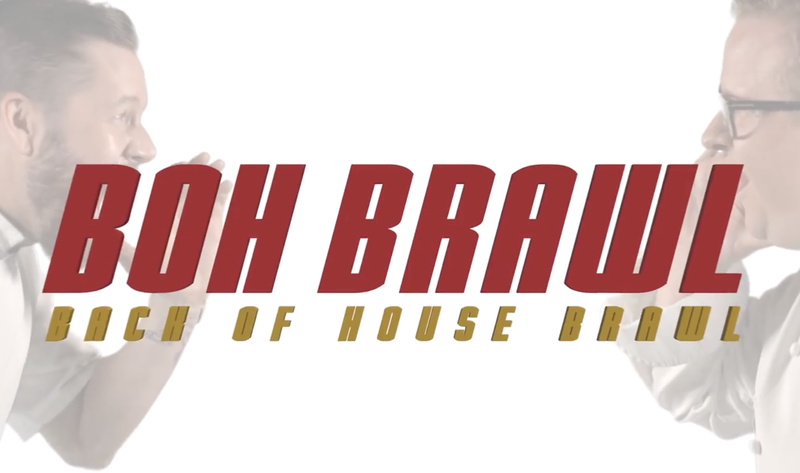 To see the full lineup of participating chefs, visit bohbrawl.com.